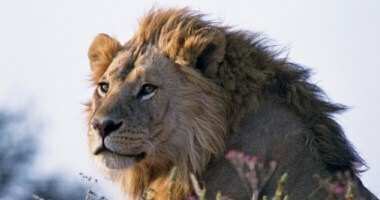 - This itinerary is the Full Monty of Botswana safari itineraries, and we’ve packed a lot into eleven days. Untamed Botswana is all about taking the road less travelled and exploring the wildest corners of this phenomenal country, including Makgadikgadi Pans National Park, the infamous Salt Pans, and the fabulous Khwai Private Reserve. Your adventure begins in the Makgadikgadi Pans National Park, home to the second largest migration of mammals on the continent and our wonderful Meno a Kwena camp that boasts an unrivalled outlook over the wildlife-filled Boteti River. Then it’s off to the Makgadikgadi Salt Pans, an otherwordly place that enchants all that visit, for game drives amongst desert-adapted wildlife and walks with ancient bushmen. You’ll end your trip in the green and grassy Khwai Private Reserve. With three different camps (including a five-metre high ‘skybed’), game drives, walking safaris and mokoro trips, there’s plenty to keep you busy. Game drive and quad bike across the mystical surface of the Makgadikgadi Pans. Visit Gweta Village (from Meno a Kwena) and take bush walks out to the historic sites nearby, accompanied by a Bushman guide. Spend a morning in the company of the habituated meerkats of the Makgadikgadi Pans. You’ll never look at the cheeky creatures in the same way again. Make the most of staying in a private concession, and enjoy night drives and walking safaris in the Khwai Private Reserve. Canoe’s away! 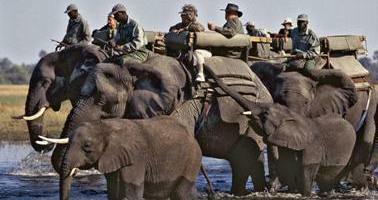 Take a mokoro safari in Khwai, and glide serenely across glassy channels and jungled waterways. Spend a night sleeping under the stars atop one of our magical, five-metre high Skybeds platforms. Start your trip off with a bang at Meno a Kwena in the Makgadikgadi Pans National Park. Perched on the edge of the wildlife-filled river, you don’t even have to leave camp for fantastic game viewing. You’ve got yourself a full day to explore the Makgadikgadi Pans National Park on foot or by vehicle – or why not try both? Meno a Kwena is one of Botswana’s original safari camps, frequented by many an intrepid hunter and pioneer over the years. 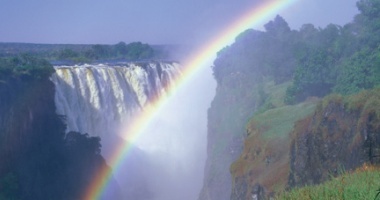 Views are out-of-this-world good, looking down to the Boteti River and the herds of zebra that it attracts. Meno isn’t a camp of unnecessary frills; instead, you’ll find rooms full of character and unique eccentricities, personalised service, and a huge dose of passion for the bush. The destination today is Camp Kalahari in the Makgadikgadi Salt Pan, the largest system of salt pans in the world, and quite something to behold. Camp Kalahari is our refreshingly simple tented camp on Brown Hyaena Island, just on the edge of the Makgadikgadi Salt Pan itself. CK doesn’t take itself too seriously (rather like its owners, one might say), and it’s an eclectic mix of original African furniture and colonial antiques. During the day, put your feet up in the thatched main area and have a peek at the library. At night, you’ll retire to one of 11 ensuite tents. Makgadikgadi: seemingly empty and desolate, you might think that there’s not much to see in these otherworldly environments. But happily, you’d be wrong! Desert-adapted elephant and comical antelope pick their way across the pans, and meerkats pop up in the most surprising of places. They might be a little harder to see, but there’s a few predators around too: black-maned Kalahari lion, leopard, cheetah and even wild dog (if you’re lucky). The Makgadikgadi Pan is the place to spot Brown hyaena. In fact, they’re pretty much impossible to find anywhere else. And the highlight of the Makgadikgadi Pans National Park is undoubtedly the second largest migration of mammals in Africa, in which 30,000 zebra and wildebeest rumble across the area, congregating at the Boteti River in April in a dazzle of black and white (and grey and brown). After arriving at Hyena Pan, your first treat (of many) is to watch the eles as they splish and splash in the waterhole at the front of camp. 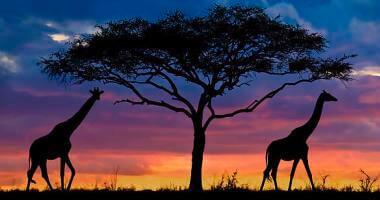 Our two camps in Khwai Private Reserve are Sable Alley and Hyena Pan. We chose the different locations based on their proximity to wildlife, and both camps are next to waterholes that draw a kaleidoscope of animals from far and wide. In fact, all you need to do is unzip your tent flaps in the morning, and you’re on safari quicker than you can say ‘Where’s the coffee?’ Hyena Pan’s eight tents are cool and quirky, and there’s a mini splash pool and large viewing deck at the main area. Sable Alley is her stylish older sister, with twelve tents, a larger swimming pool and plenty of private places from which to enjoy the view. Get settled into the Khwai way of life with a full day of activities, or a little R&R. The 495,000 acre Khwai Private Reserve is positively bursting with game, and it’s just as varied as the habitats you’re driving through. Wildlife moves freely from the neighbouring Moremi Game Reserve, and you’ll see buffalo, zebra, reedbuck, red lechwe, sable and roan antelope, and waterbuck dotted over the landscape. This is a reserve for spotting predators, and lion and leopard hide in the mopane bush, whilst cheetah and wild dog frequently cross the open plains. And don’t forget the elephant. There’s an extraordinary number of the grey pachyderms in the park, crossing from Chobe to Moremi, and the sightings are top-notch. Tonight’s the night to try out our magnificent Skybeds – three, five-metre high platforms with alfresco bedrooms that will definitely give you a night to remember! After your night under the stars, relocate by game drive across Khwai to Sable Alley and get stuck into game drives, walks, birdwatching, and canoe excursions, to name but a few. The last day always arrives too quickly. There will be time to take those last-minute photos before you zoom off to Maun Airport for your flight home. From $6,105.00 per person sharing in the green season. A single supplement applies to single travellers. The price is dependent on actual travel dates. Travelling costs as per itinerary; activities (most! ); entrance and park fees; accommodation as specified on a sharing basis; all meals and local drinks; road transfers; applicable tourism levies, taxes, and all relevant VAT. Expenses of a personal nature, such as telephone expenses & shopping; premium brand drinks; tips and gratuities; additional activities; scheduled flights and related taxes; Visa fees where relevant; cancellation, baggage, medical, and evacuation insurance. Child Policy: Please enquire with reservations. Disabled Access: Please enquire with reservations. Wifi: Wifi is available at Meno a Kwena, but not at Camp Kalahari, the Skybeds, Hyena Pan or Sable Alley. Can this itinerary be customised? Yes, this itinerary can be fully customised. 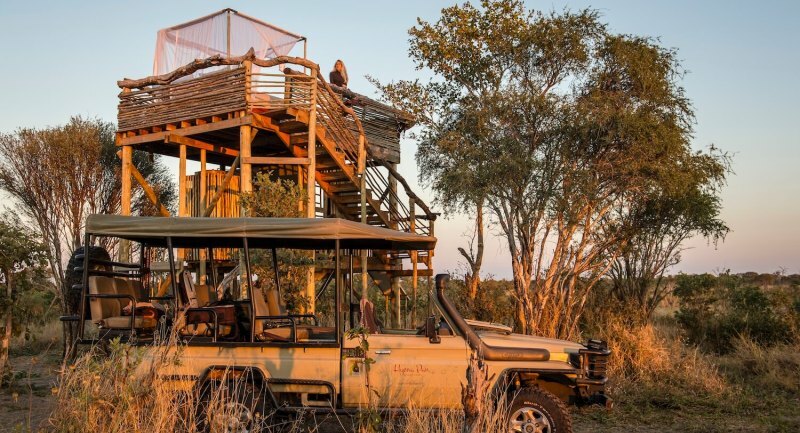 Extension ideas: If you’re feeling intrepid, add on a couple of nights in the Uncharted Expedition Camp in the heart of the Okavango Delta and discover yet another piece of this beautiful country.